This three-episode audio series sheds light on the stormy present by exploring the turbulent past. 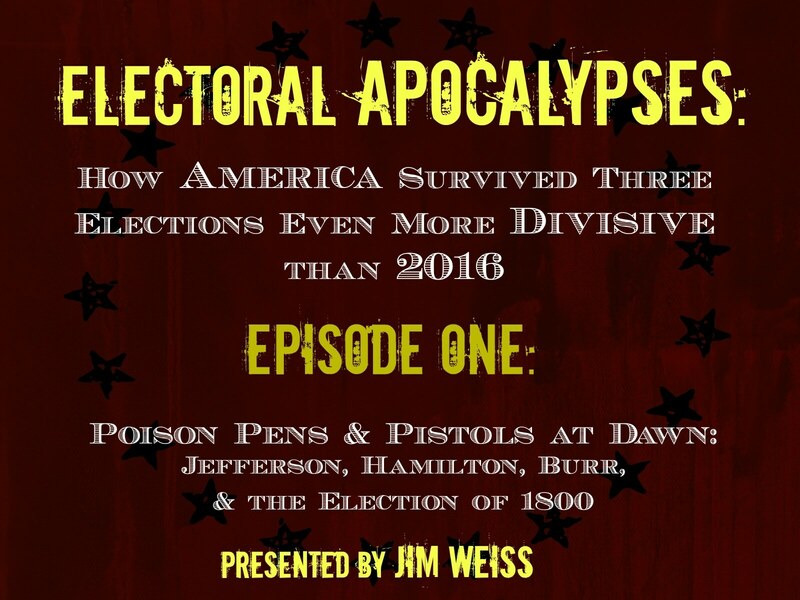 Through the surprising tales of three past elections, master storyteller Jim Weiss explores the flexibility of America’s democratic system, and the resilience of its people. 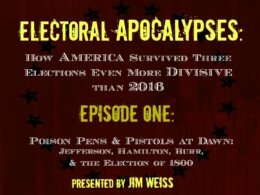 And if you like Episode 1, check out Episode 2– A House Divided: The Election of 1860 and the Coming of Civil War and Episode 3– The Whole World Is Watching: Riots, Radicals, and the Election of 1968.